This hat steamer is fitted with a handy brass steam pipe which distributes the steam correctly in the hat. 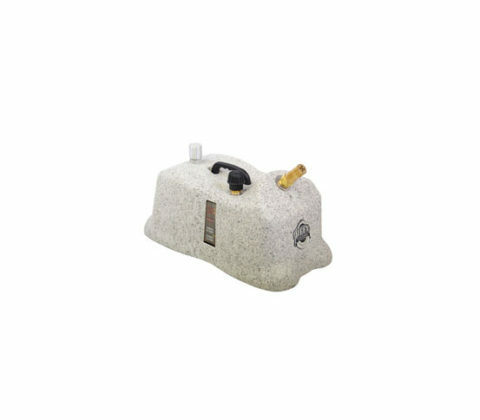 The steamer has a 3.5 litre water tank, ensuring a steam supply sufficient for several hours of use. Using the gauge on the side of the steamer, you can keep an eye on the water level within the unit. The J-2000 M Jiffy Steamer has a water tank capacity of over 2.5 litres. Once filled and switched on, the steamer is ready to use after just 2 minutes. The water tank capacity is sufficient for 1.5 hours of steaming. The steamer is easy to move due to the castors on the bottom. Would you like to know more about the J-4000 H professional hat steamer? 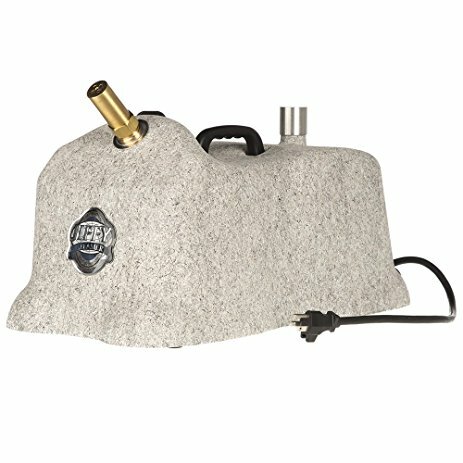 If you order the hat steamer through our website, we will offer you a full 2-year warranty. Please contact us for more information. © 2019 Van der A Naaimachines B.V.